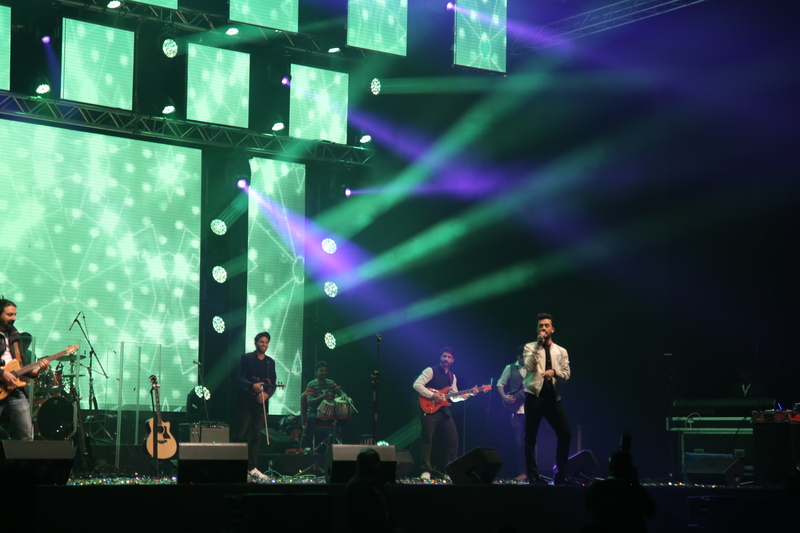 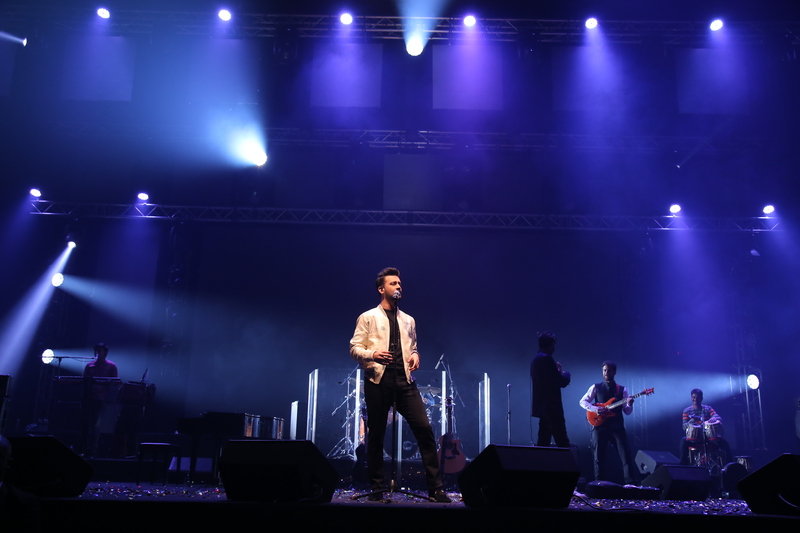 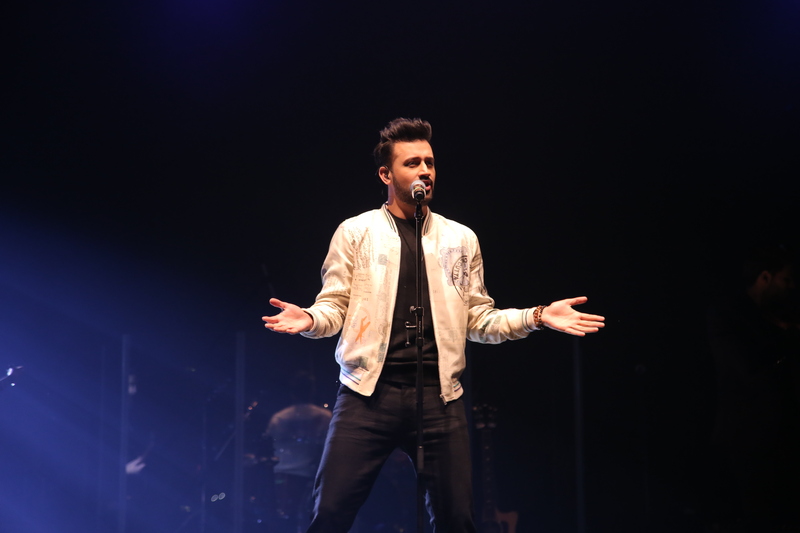 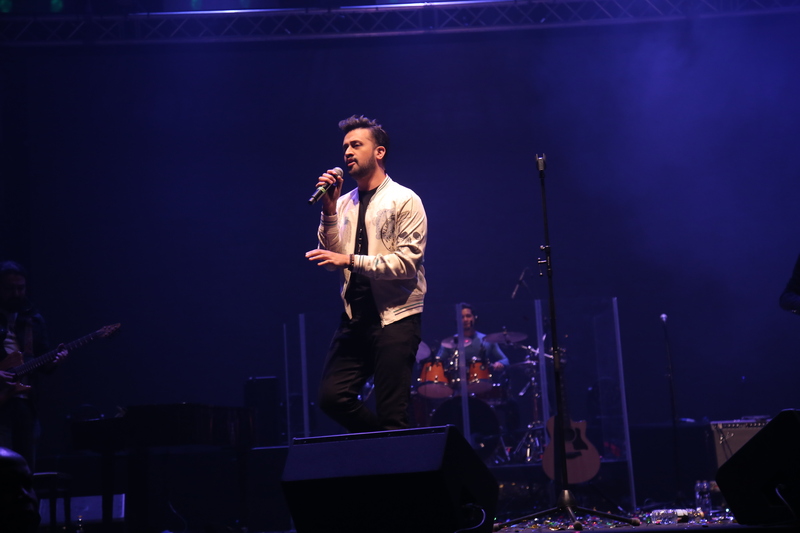 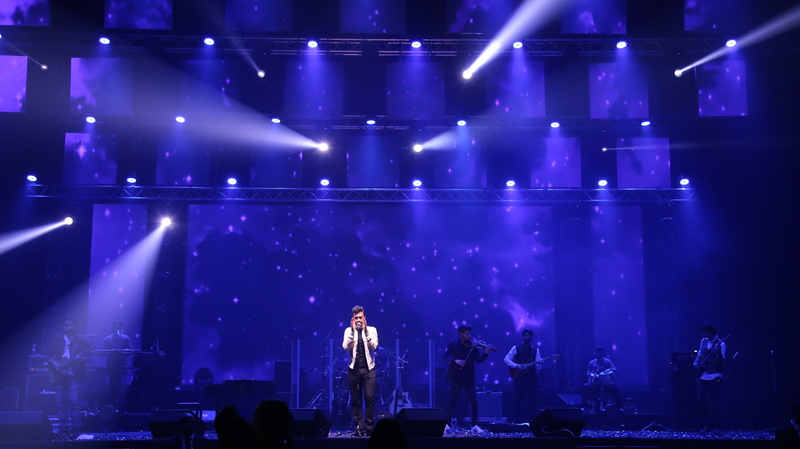 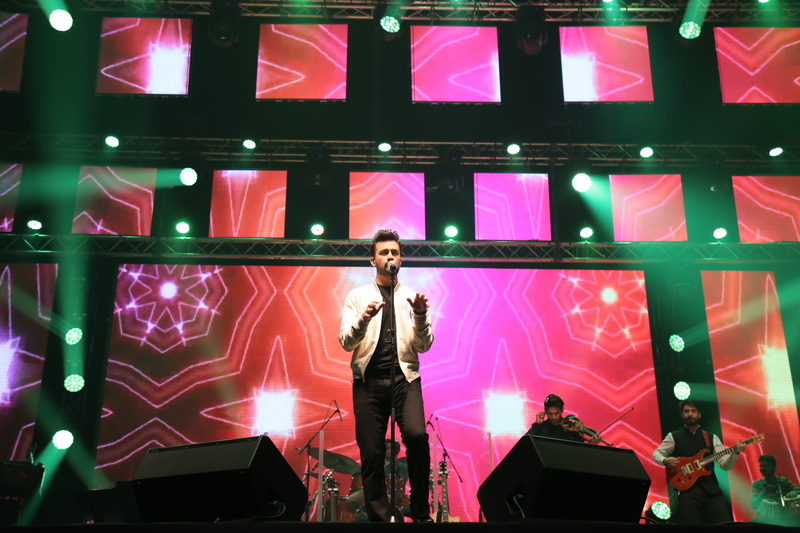 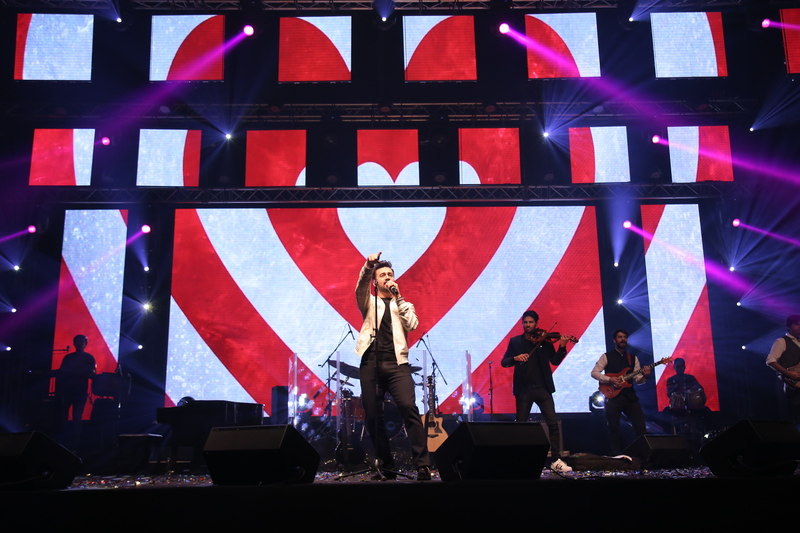 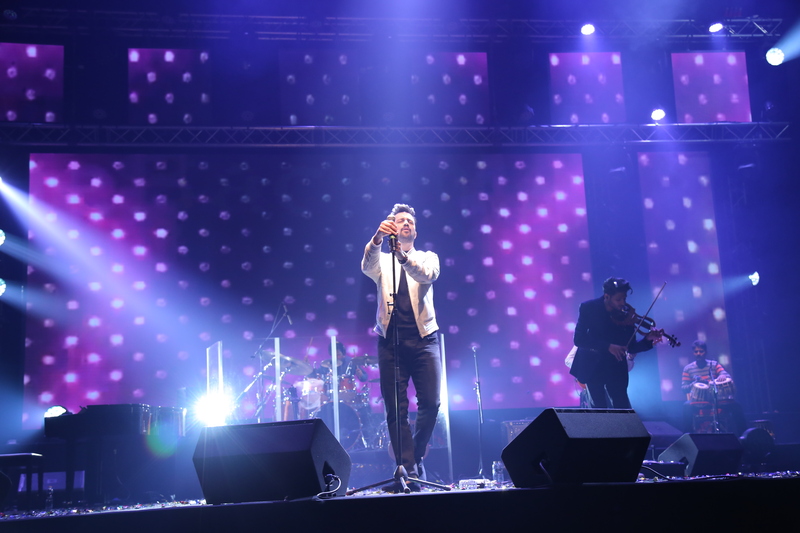 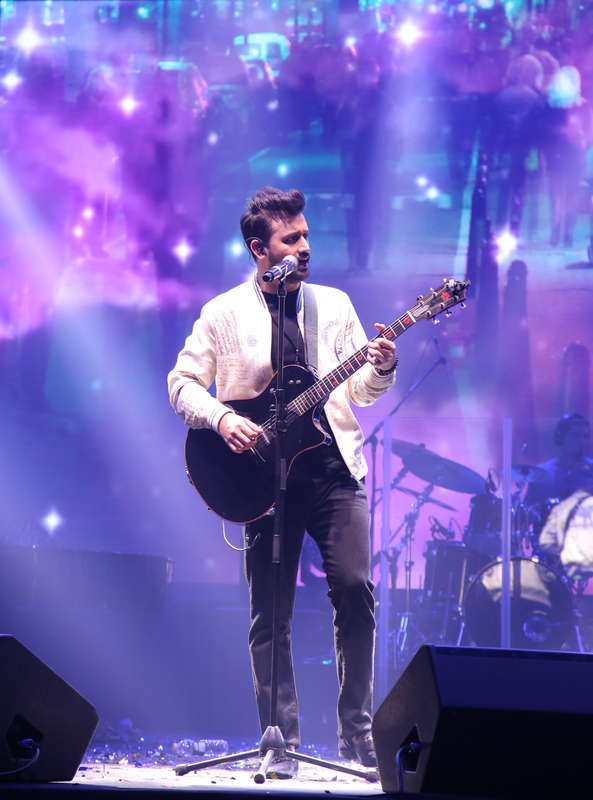 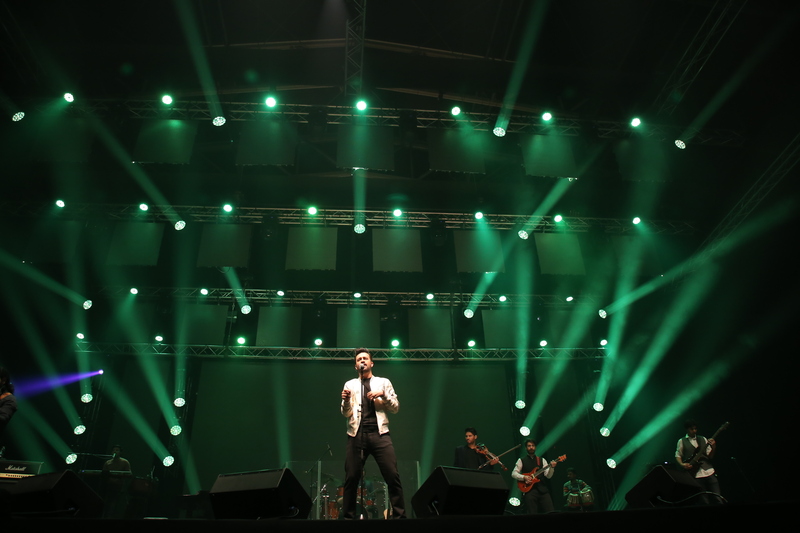 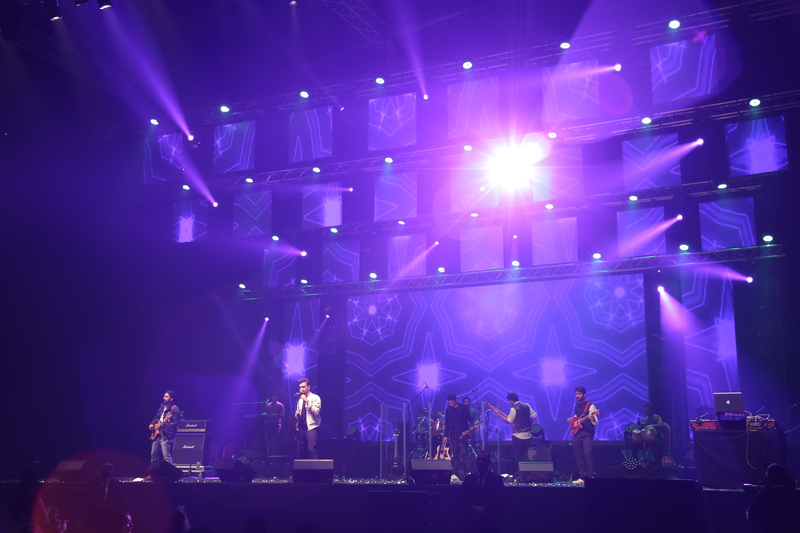 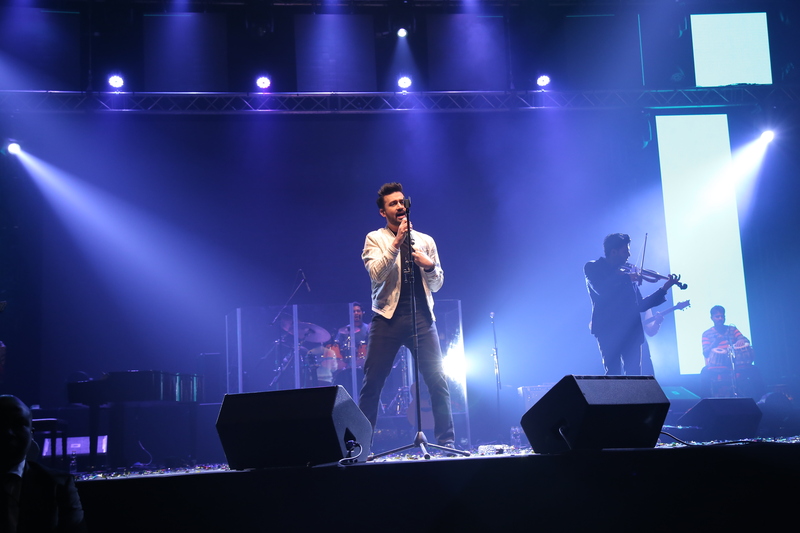 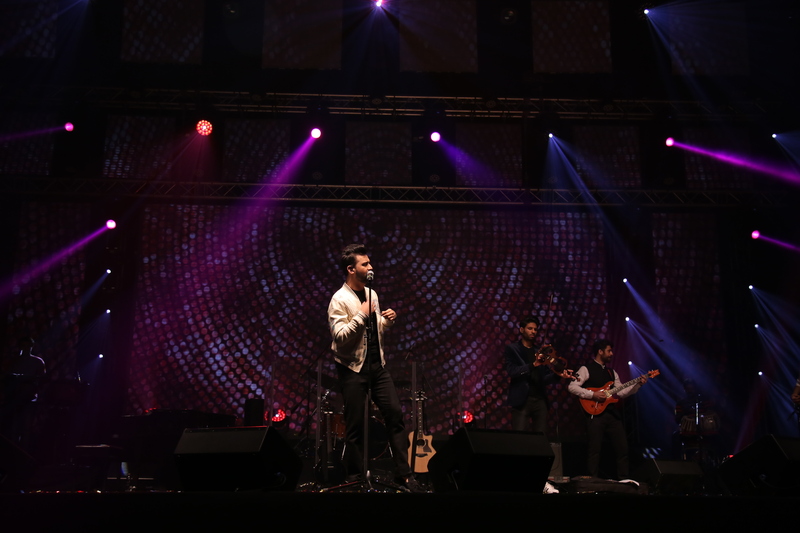 One of Atif Aslam’s most awaited valentines concert took place in the city on Friday night at the Festival Arena – Dubai Festival City. 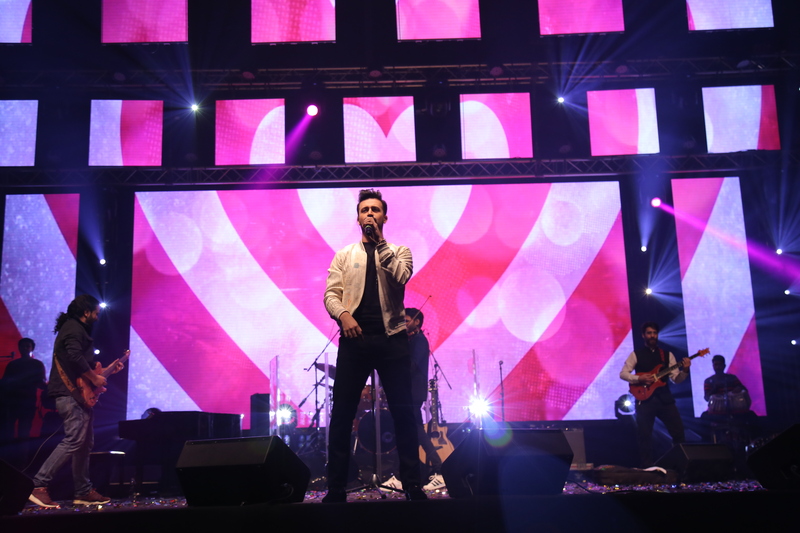 An evening of love and romance kicked off with a powerful performance by UAE’s very own Dj Scorpio followed by dance performances by a Bollywood dance group who entertained the crowd shaking up to some famous Bollywood and Punjabi tracks. 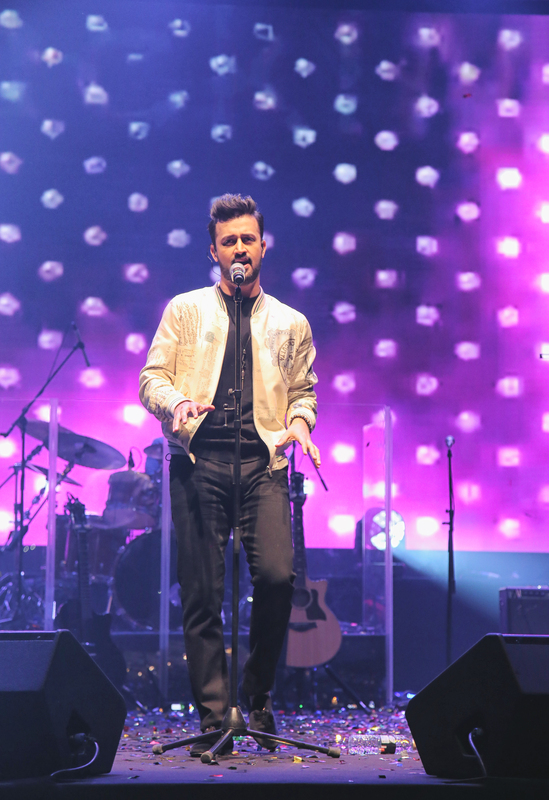 It didn’t take long till Atif Aslam hit the stage with his rocking performance to his latest track Jee Lay Har Pal which he performed to Dubai’s audience for the first time, and it sure was a treat to everyone who witnessed it live. 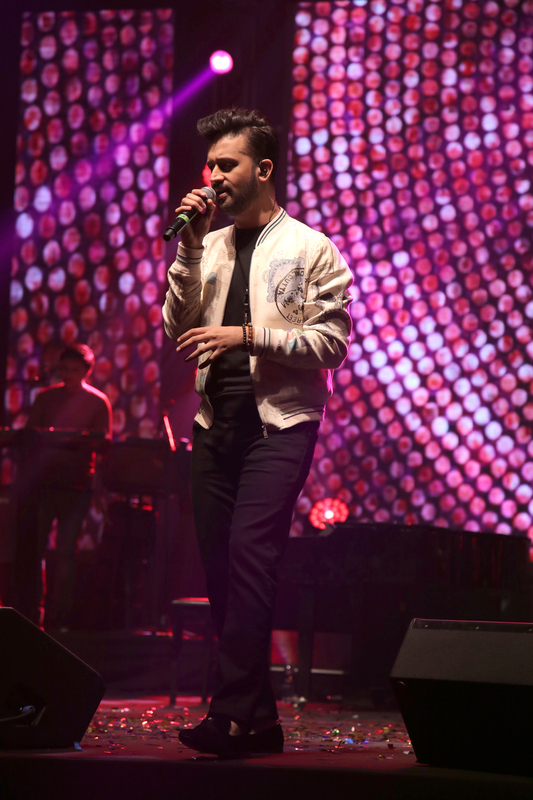 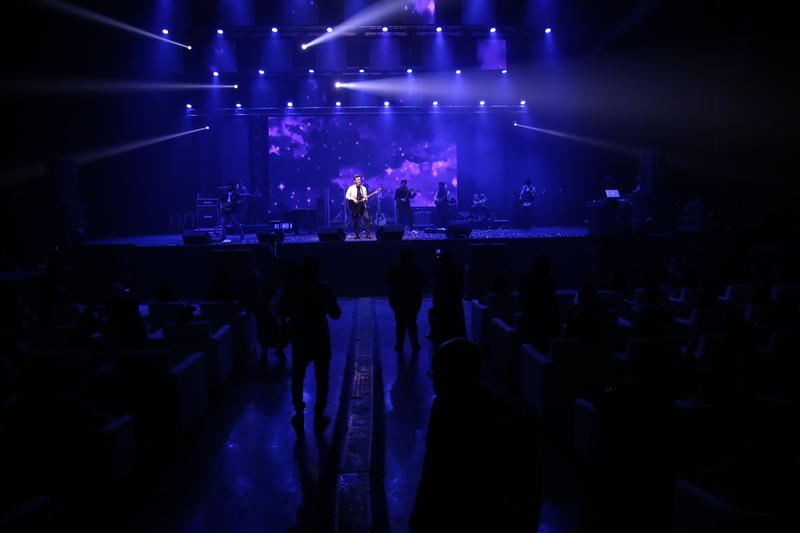 The sound, the ambiance and the vibe was just perfect that night as Atif Aslam sang some of his unheard tunes and surprised the audience with his unique performance. 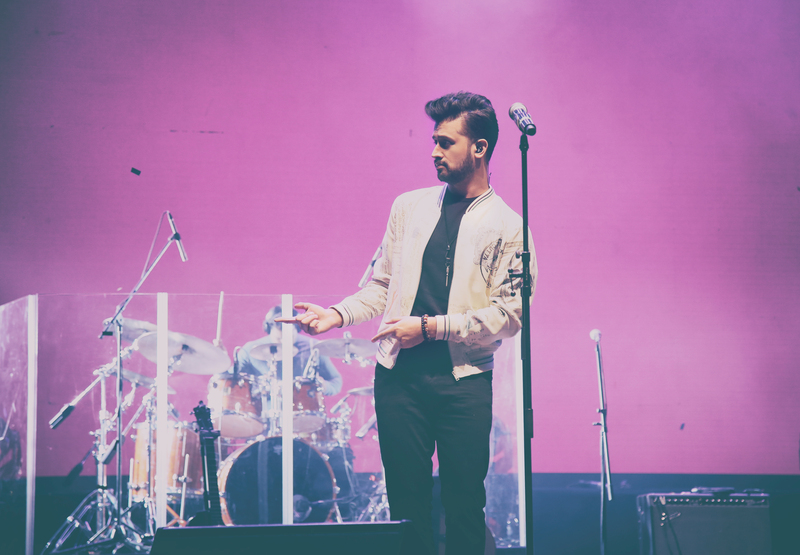 Many times, we see an artist comes and performs on stage but Atif Aslam managed to engage with the audience, took live requests and also invited kids on stage to sing with him. 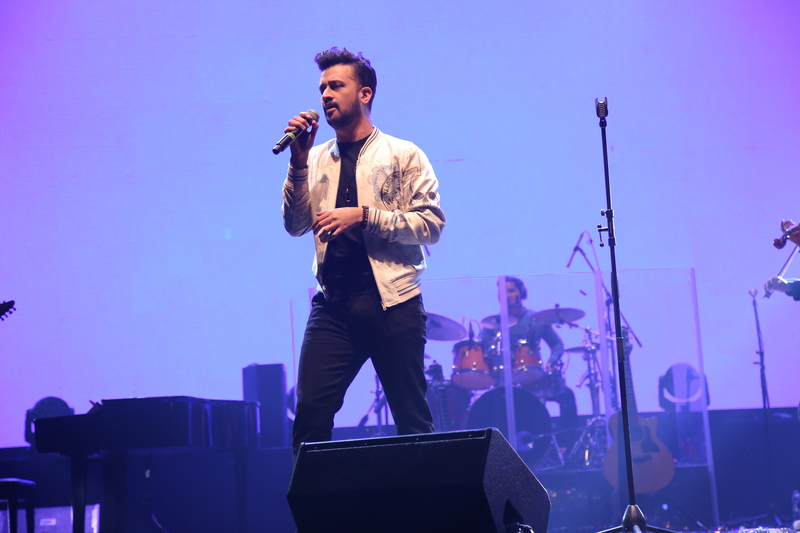 Atif Aslam also thanked the organizers Golden Star Events and Radio Spice 105.4 who managed to organize a huge concert in such a short notice.